We first released this article last June when Informed Delivery was in its early development stages. Fast forward to today and the program is now set to roll out nationwide. Contact Salem One and learn how to be one of the first to put this new and innovative marketing platform to work for your direct mail campaign. Just another way Salem One is “Connecting Print” to enhance corporate communication. Time spent anxiously awaiting the arrival of mail is almost over. The USPS is boldly charging forward with Informed Delivery™. This new program will allow you the ability to see what’s coming with daily email notifications with images of what will be in your mailbox that day! What is it and what does it mean for direct marketers and Salem One clients? Salem One has historically taken a proactive stance in working with our direct marketing clients to leverage innovative new service offerings from the USPS. Many of these advancements have enabled us to drive down postage costs, increase visibility of mail delivery and generally make direct mail more efficient and effective. These results are generated through the adoption and unique application of programs with terms like Intelligent Mail Barcode Tracking, E-Induction, Seamless Acceptance, etc. We are watching closely as the USPS continues to test and boldly project a rapid rollout of a new service known as Informed Delivery™. Registered users will receive a morning email that includes scanned images of the front exterior of all letter sized incoming mail that day. The mailer / marketer can also take advantage of an option that will allow consumers to receive a color image and interactive content to enhance the experience (e.g., direct user to mailer provided URL). 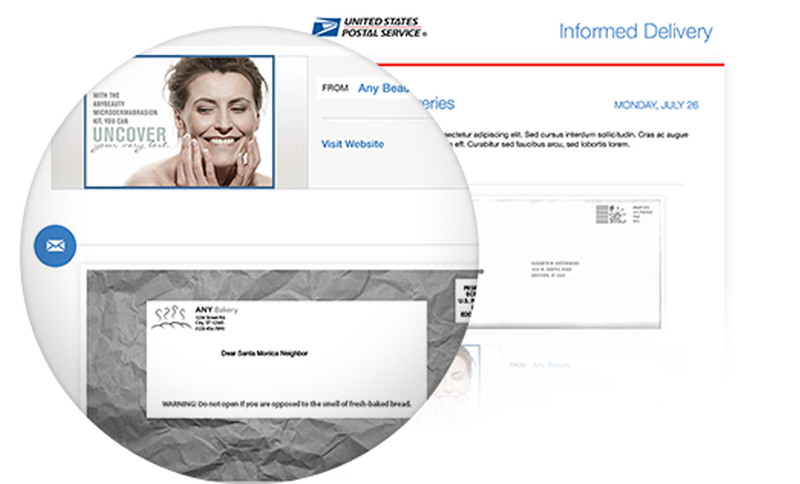 The USPS believes that this service “provides an unprecedented opportunity for Mailers to engage users with a highly-coordinated direct mail and digital marketing campaign”. And early results from the pilot program would support this statement. Informed Delivery™ is projected to rollout in phases with full national expansion in 2017 with a projected reach of over 50 million consumers. To learn more about the program (including how to participate in a test campaign) call your Salem One representative or email informed@salem-one.com.